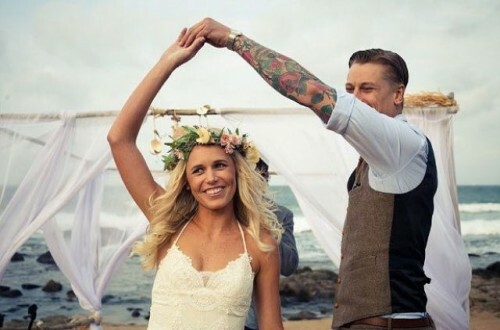 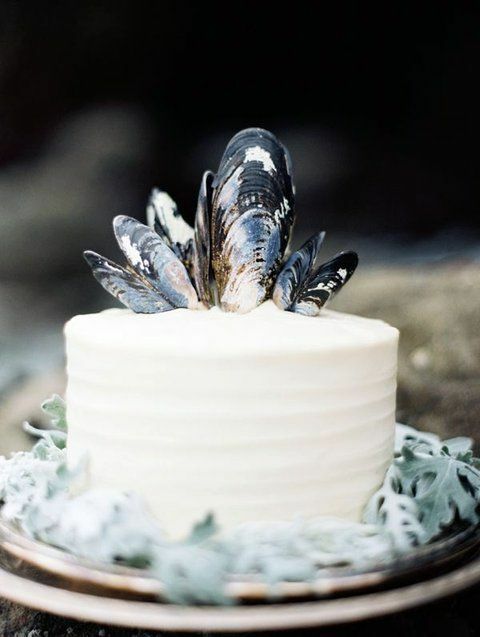 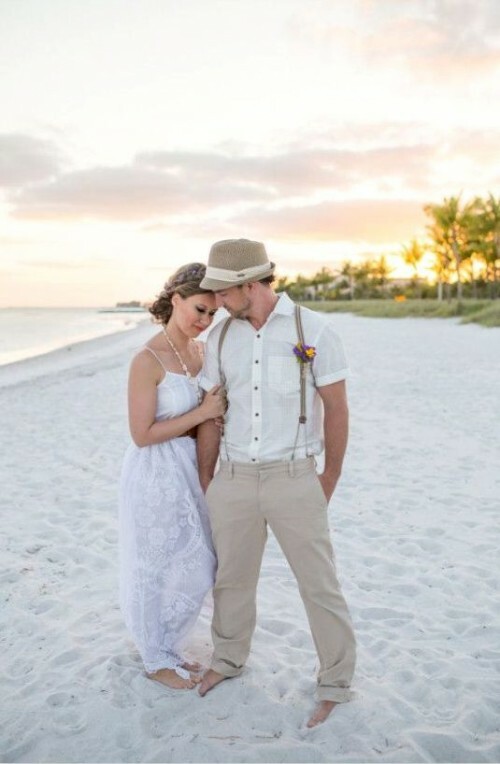 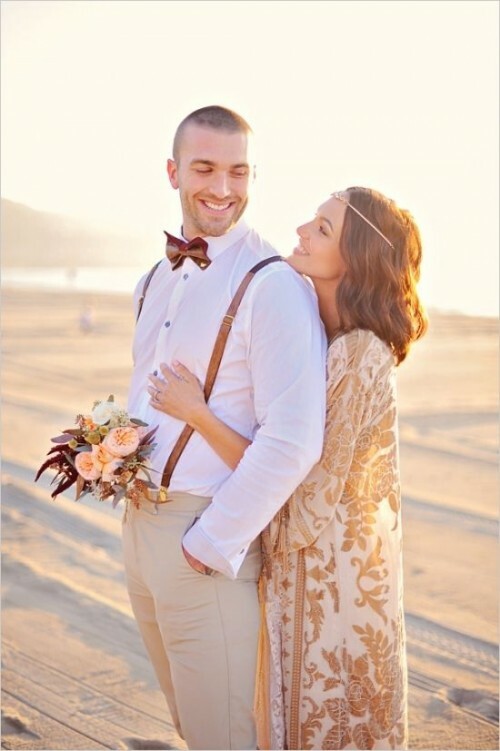 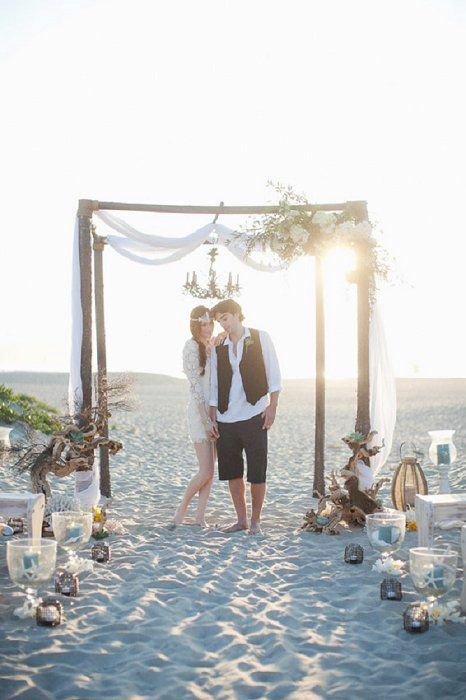 Bohemian weddings are a hit right now because they are relaxed, colorful and fun; beach weddings are always super actual because it’s just a dream – walking down the beach aisle with breeze in your face. 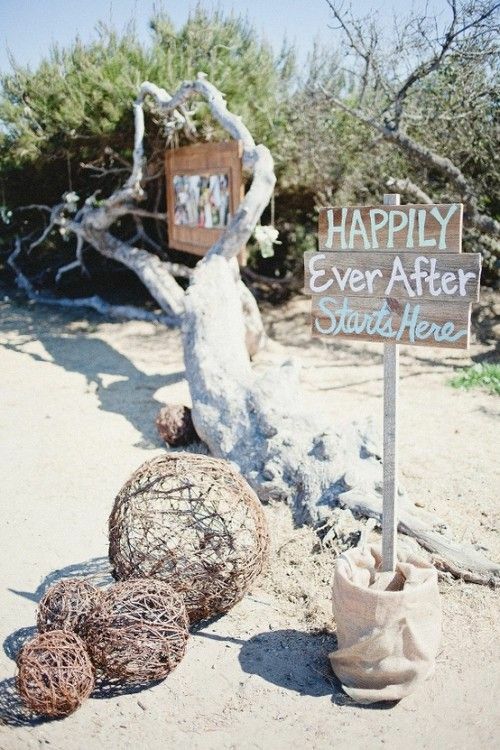 But what if we mix these two ideas in one? 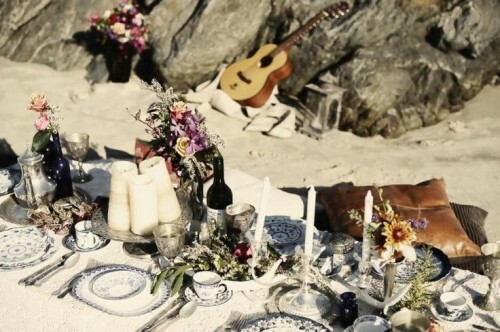 It’ll be just gorgeous! 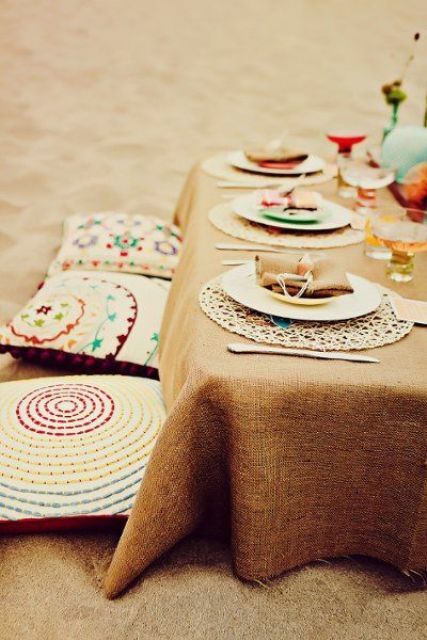 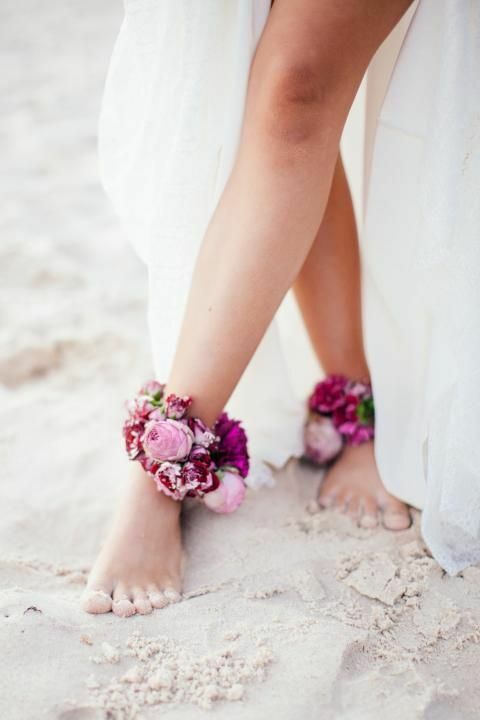 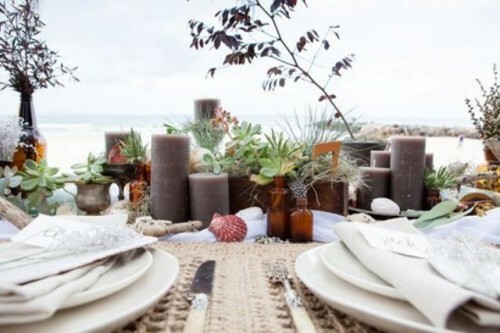 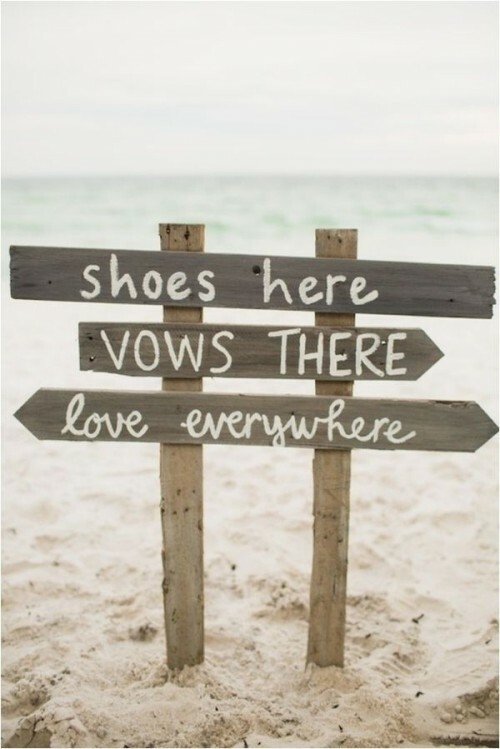 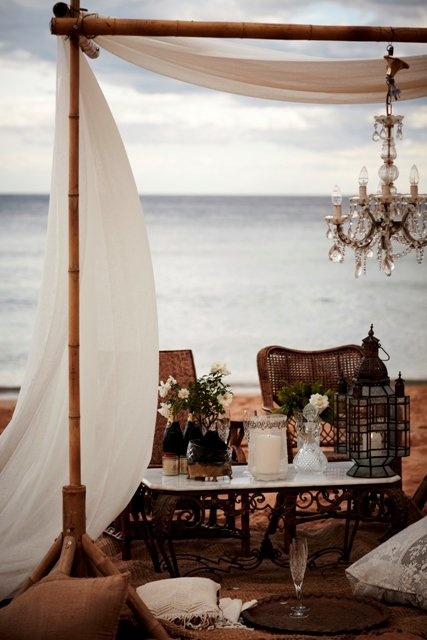 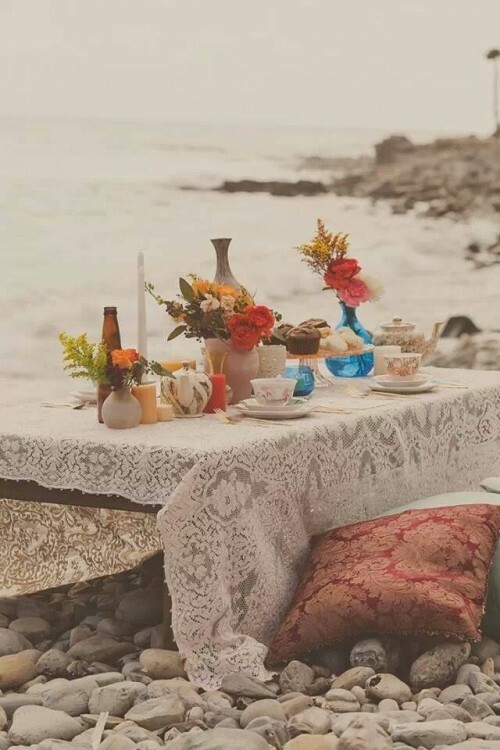 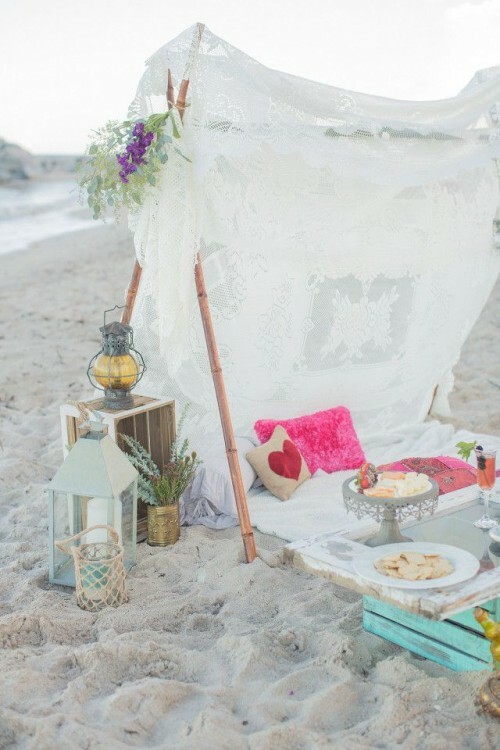 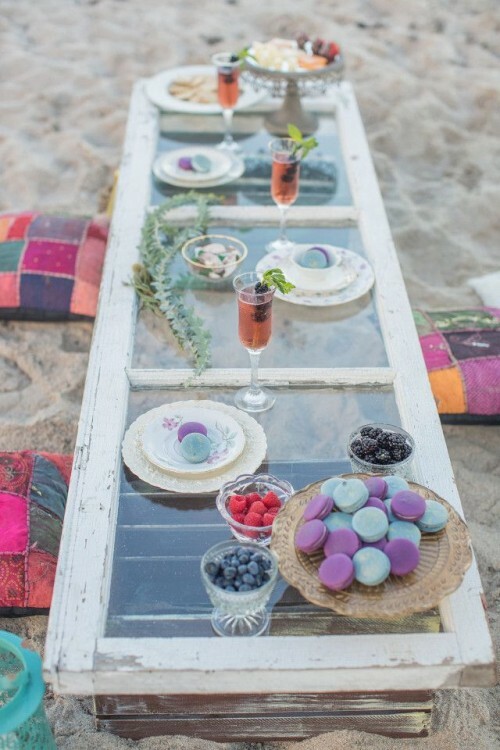 Boho chic beach weddings are incredibly relaxed, full of sunlight, sand and salty breeze – isn’t that perfection for a summer soiree? 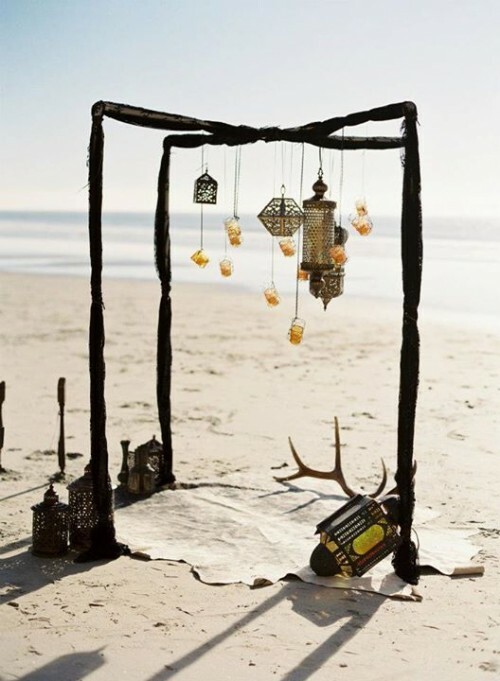 Bright flowers, feathers, Moroccan lanterns, gypsy textiles, shells and pebbles for décor are not only awesome but also budget-friendly and easily DIYable. 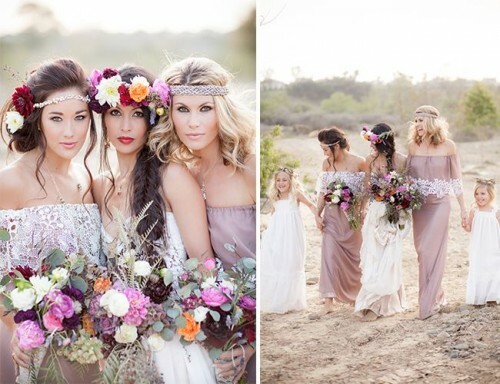 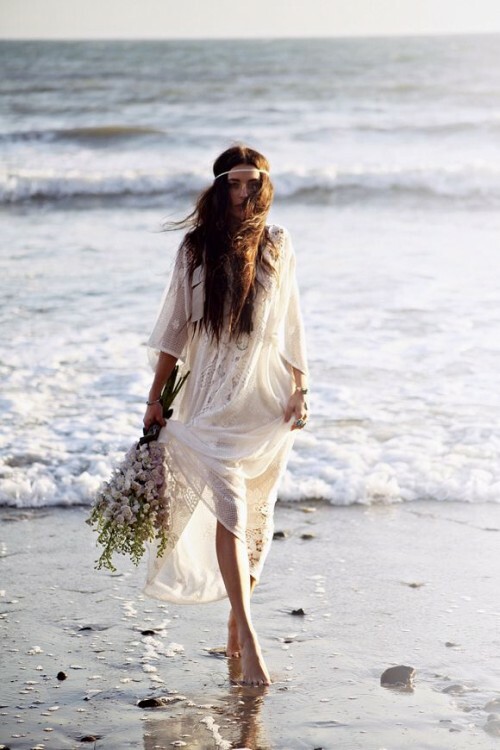 Rock a lace boho gown with lots of cool accessories and a headpiece, go barefoot. 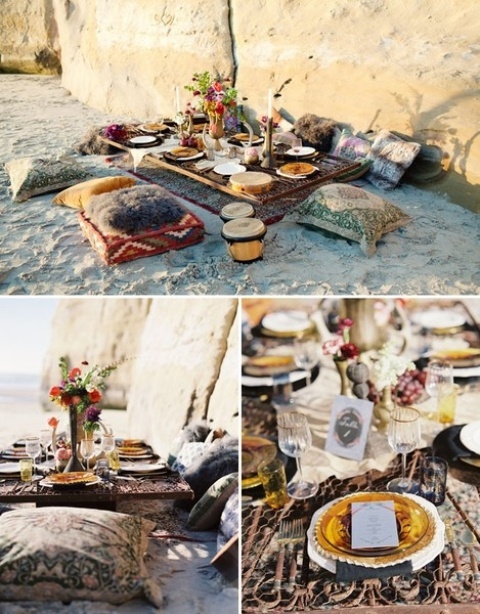 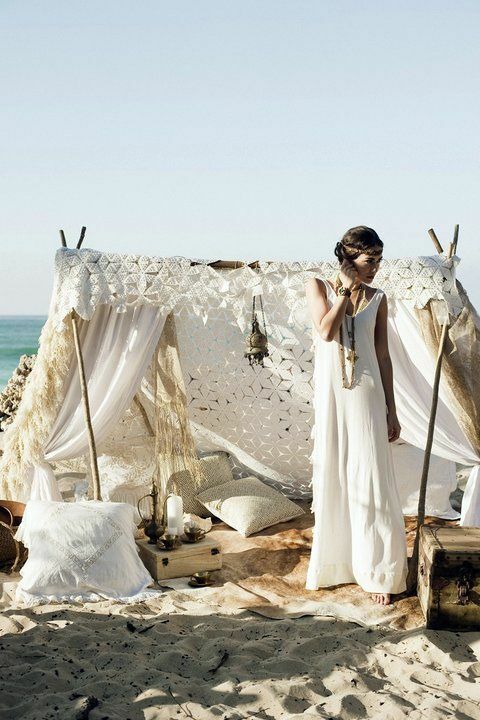 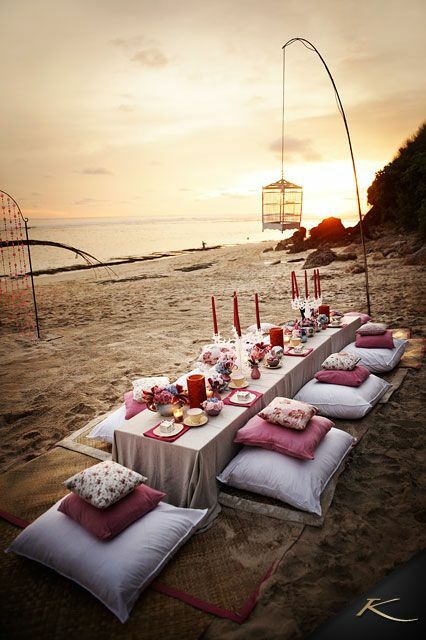 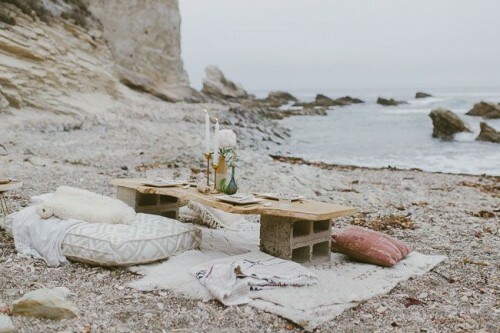 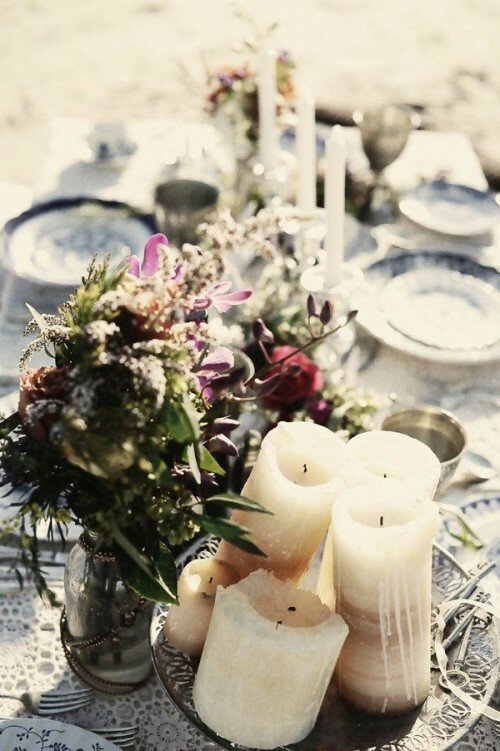 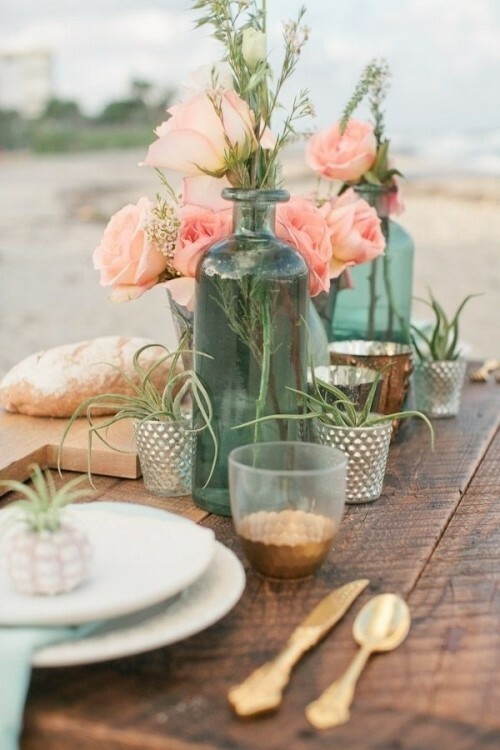 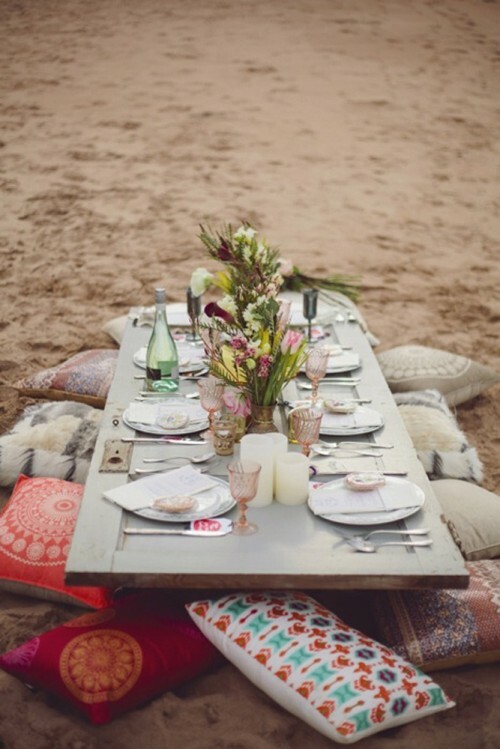 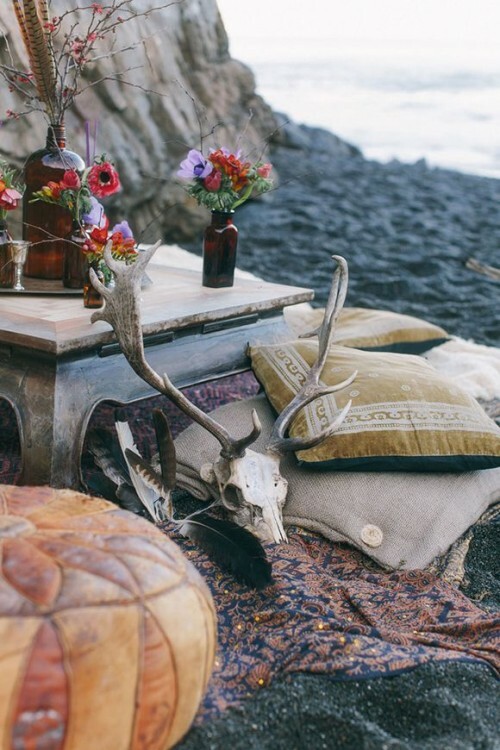 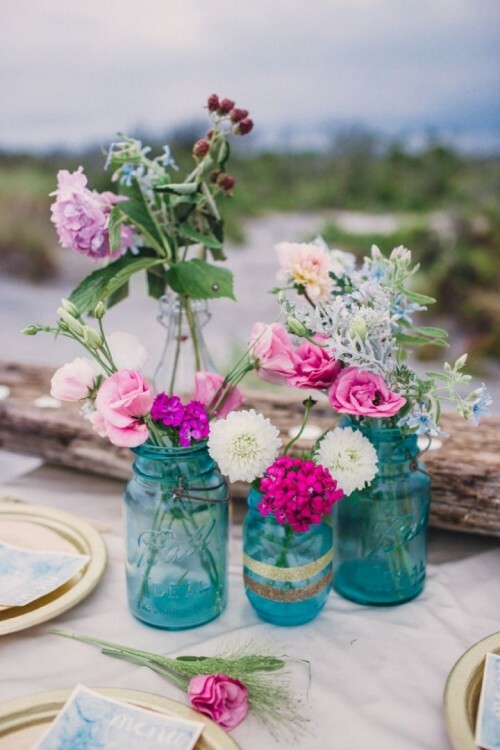 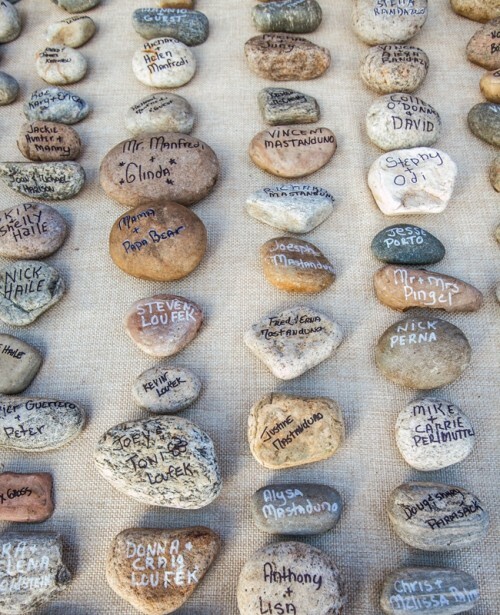 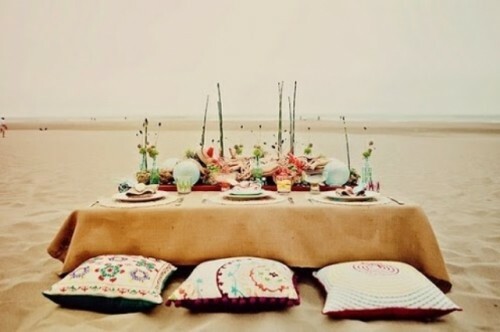 Get inspired by the ideas below and go boho chic!